India's second-largest IT services company Infosys Ltd said on Wednesday it will invest in the maiden fund of home grown early-stage venture capital firm Stellaris Venture Partners, which was launched by three former executives at Helion Venture Partners. 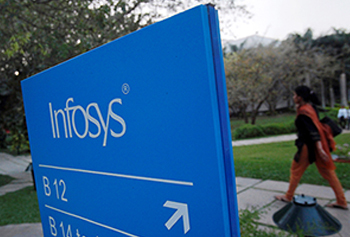 Infosys will invest Rs 31.6 crore ($4.62 million) for a minority holding of up to a fifth of overall corpus being raised under Stellaris Venture Partners India I. This money will help Stellaris to make first close of its debut fund. It said the investment in the form of Limited Partner (LP) interest is being routed through its Innovation Fund. LPs are investors whose money is managed by private equity and venture capital firms. This is the second LP investment Infosys has made after backing Silicon Valley based early-stage venture capital firm Vertex Ventures last year. Infosys did not specify the amount at which the first close will be done by Stellaris Venture Partners but back of the envelope calculations show it would be worth at least Rs 158 crore ($23 million). In August, The Economic Times had said citing unnamed people that the firm is looking to raise $100 million from both domestic and global investors and Infosys may put in $15 million. Stellaris Venture Partners did not respond to request for more details on the debut fund. The investment from the Innovation Fund is expected to complete by December 15, 2016. "...With this investment we look forward to gaining early access to innovative new companies in India that are inventing the future of enterprises globally,” said Ritika Suri, executive vice president & global head of corporate development & ventures at Infosys. Stellaris Venture Partners' investment focus areas include global SaaS, applications for Indian small and midsize business (SMBs) and consumers in large verticals such as healthcare, education, financial services and retail, the statement said. The early-stage venture fund was floated by former Helion Venture Partners executives Ritesh Banglani, Alok Goyal and Rahul Chowdhri. Stellaris’ investment team has experience working in global technology companies and a strong track record in venture capital, with investments made in companies such as cab hailing firm TaxiForSure, which was acquired by Ola, and online grocer BigBasket, the statement said. Early stage venture investments have been on a decline in India over the last twelve months but that has not impacted the fund raising activity. In September, early stage venture capital firm YourNest launched its second fund, YourNest India Fund II, with a target of raising Rs 300 crore. Earlier in September, the founders of Mumbai-based co-working space provider and startup accelerator Z Nation Lab said it was planning to launch a seed-stage venture capital fund to back technology firms. Last month, another early stage investor Ventureast Fund Advisors India Ltd had announced the first close of its sixth fund—Ventureast Procative Fund II (VPF2) at $83 million en route to a target corpus of $150 million in total. Unitus Seed Fund is also looking to mark the first close of its $50 million second fund by the end of 2016. In August, LetsVenture founder Manish Singhal floated an early stage venture fund called Pi Ventures with entrepreneur Umakant Soni. In January, early-stage venture capital firm Endiya Partners—floated by former managing partner of Ventureast Sateesh Andra along with Ramesh Byrapaneni and Abhishek Srivastava—had raised $15 million (Rs 100 crore) to mark the first close of its new fund. Inventus Capital Partners, Kalaari Capital and IDG Ventures are also looking for investors for their new funds. These VC firms are looking to replicate the success of larger peers such as Sequoia Capital, Nexus Venture Partners, SAIF Partners and Accel Partners that raised new funds for India in the last two years. Infosys floated its $500 million Innovation Fund in January last year to invest in young companies innovating in next-generation solutions and technologies such as Artificial Intelligence (AI), automation, pervasive connectedness as well as collaboration and design technologies. It has made eight investments so far, according to News Corp VCCEdge, the data and research platform of VCCircle. The fund's recent investment was in UNSILO, a Danish artificial intelligence startup focused on advanced text analysis. It also invested in US-based big data startup TidalScale early this month. The other investments from the fund includes Israel-based cloud monitoring solutions startup Cloudyn Software Ltd; San Francisco-based data visualisation startup Trifacta Inc; and Delaware-based big data startup Waterline Data Science Inc.
Infosys' rival Wipro also runs a $100-million corporate venture fund Wipro Ventures. Its investments include in US-based Vicarious, a robotics startup that enables computers to achieve human-level intelligence and Altizon Systems Pvt Ltd, which operates a technology platform for developing industrial IoT (internet of things) solutions.